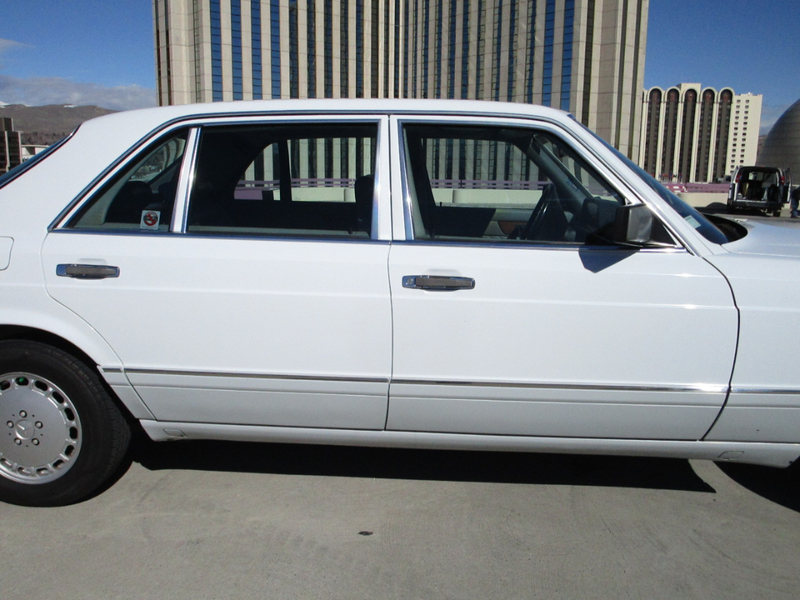 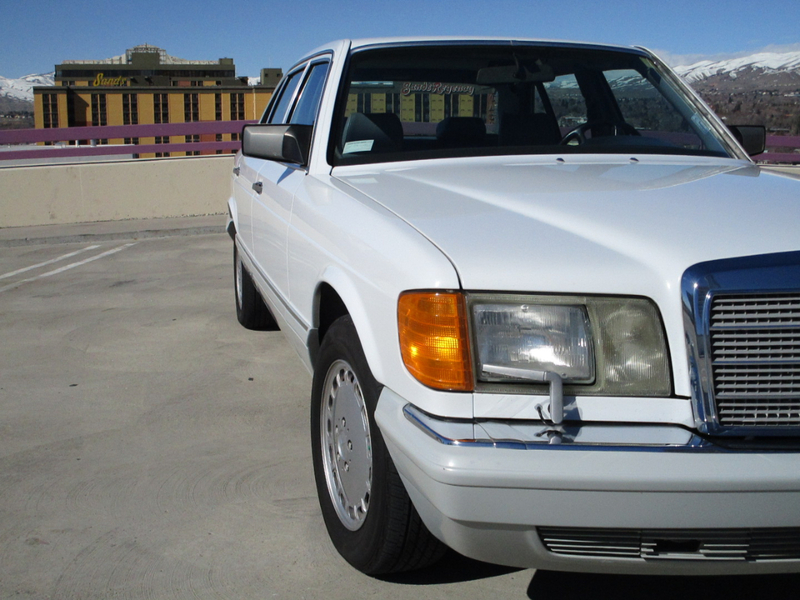 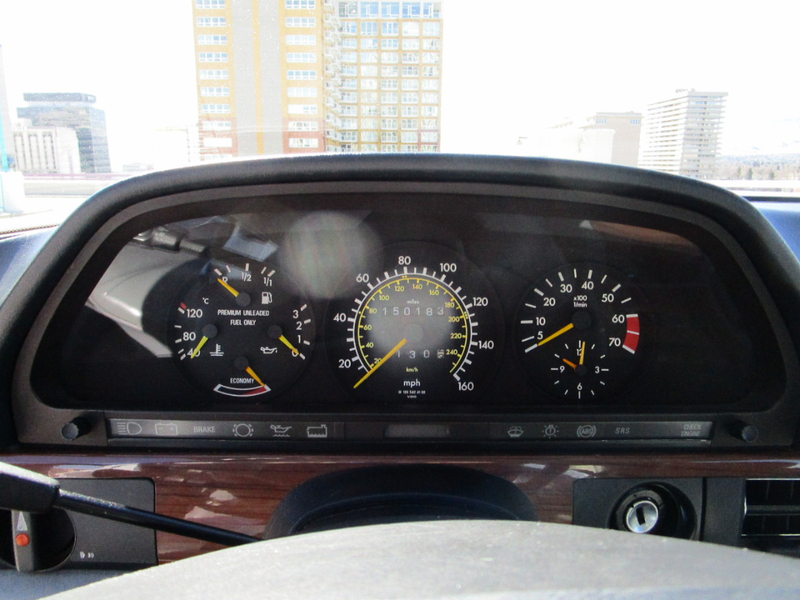 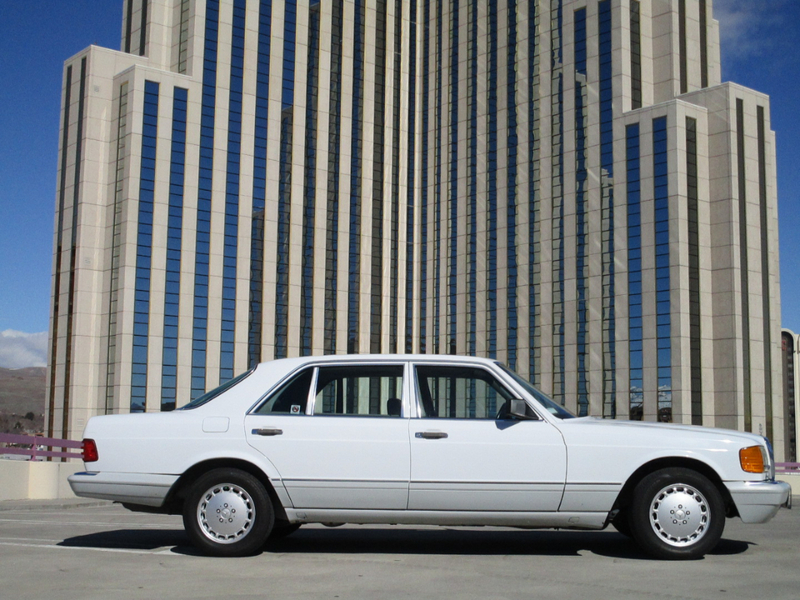 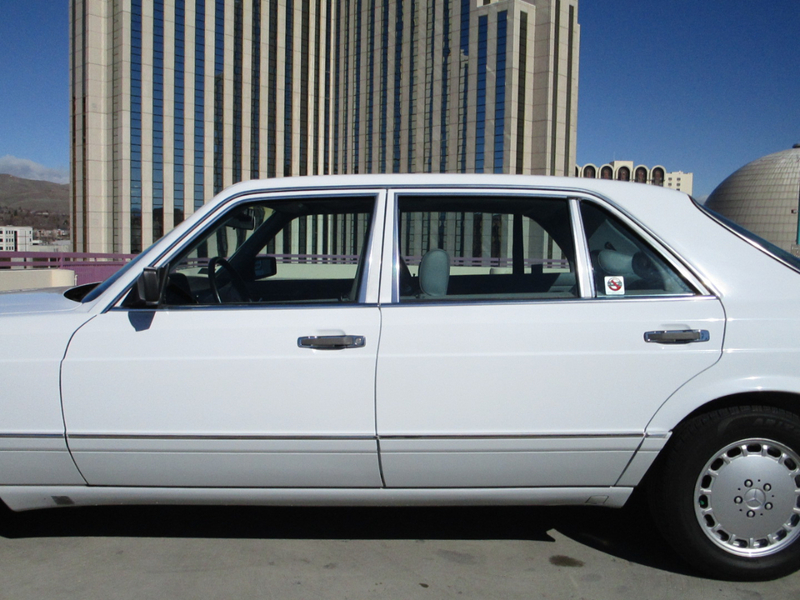 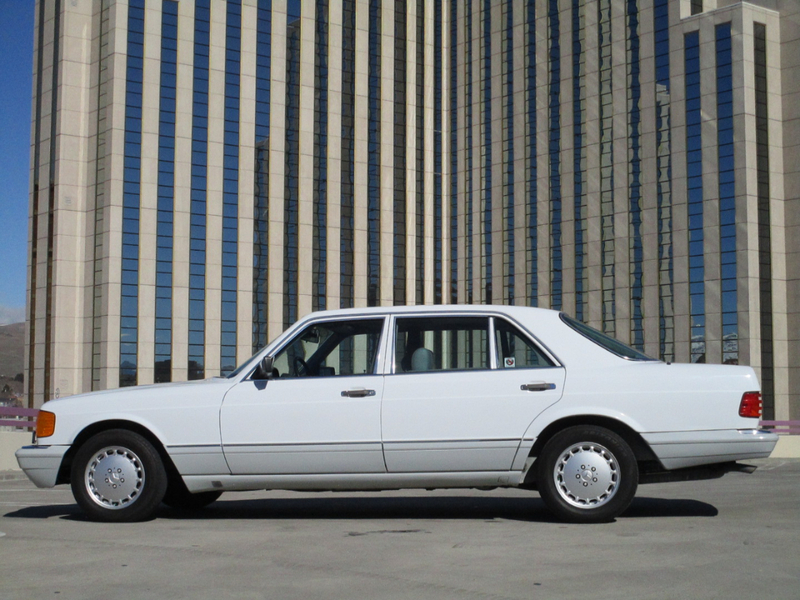 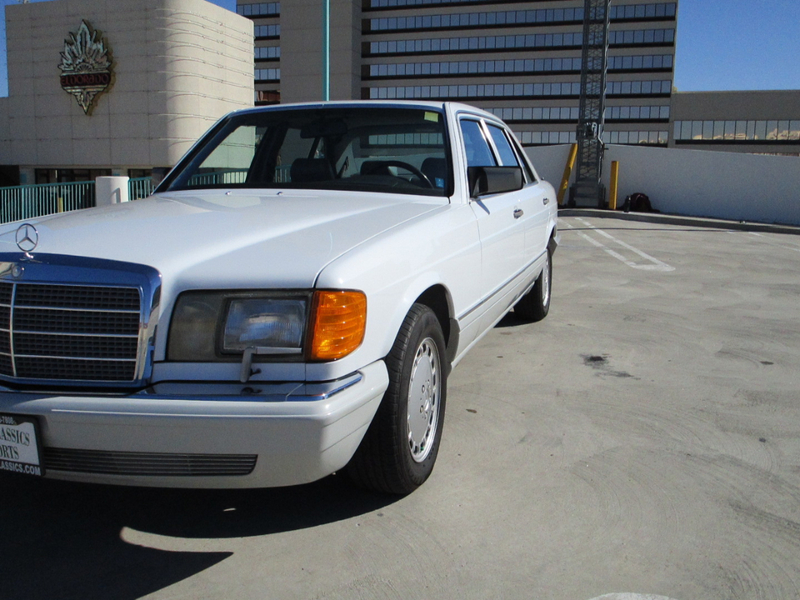 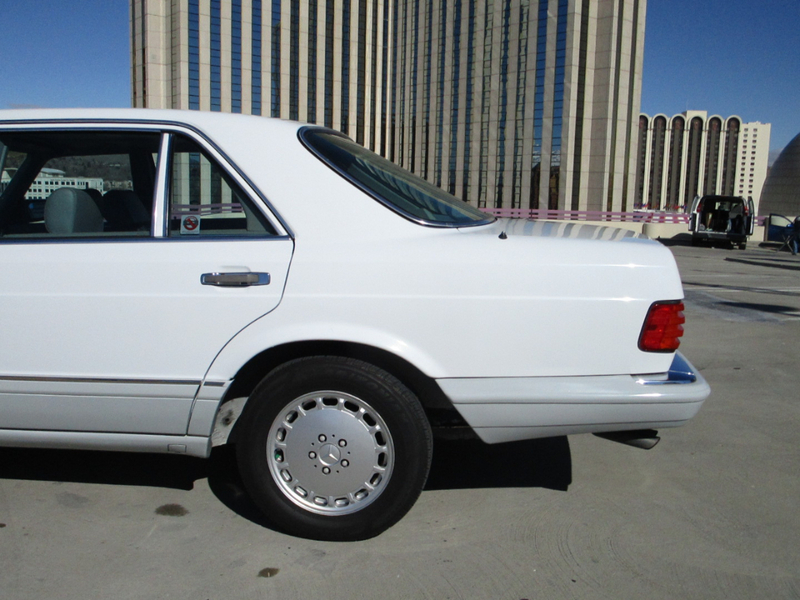 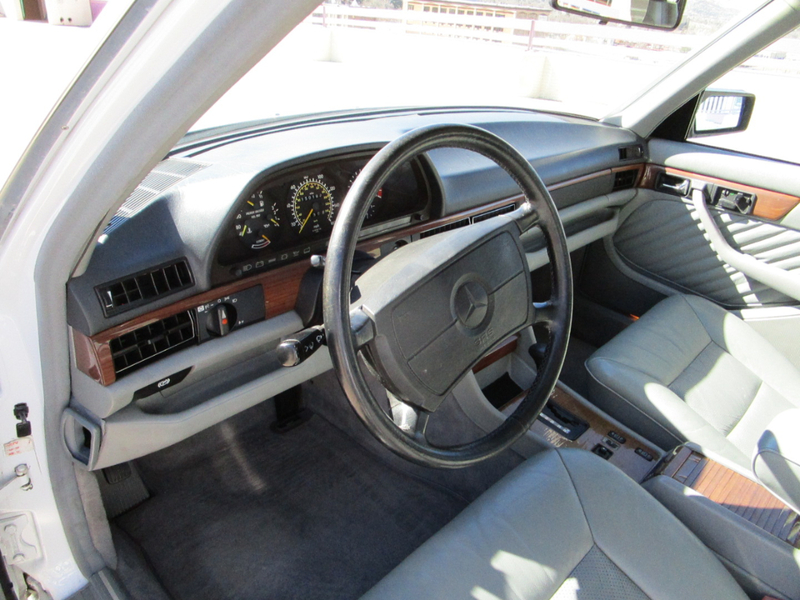 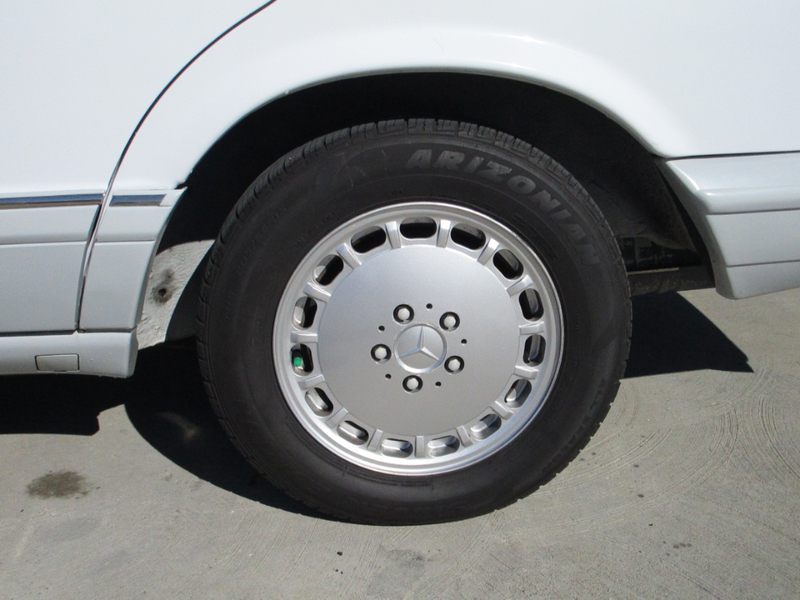 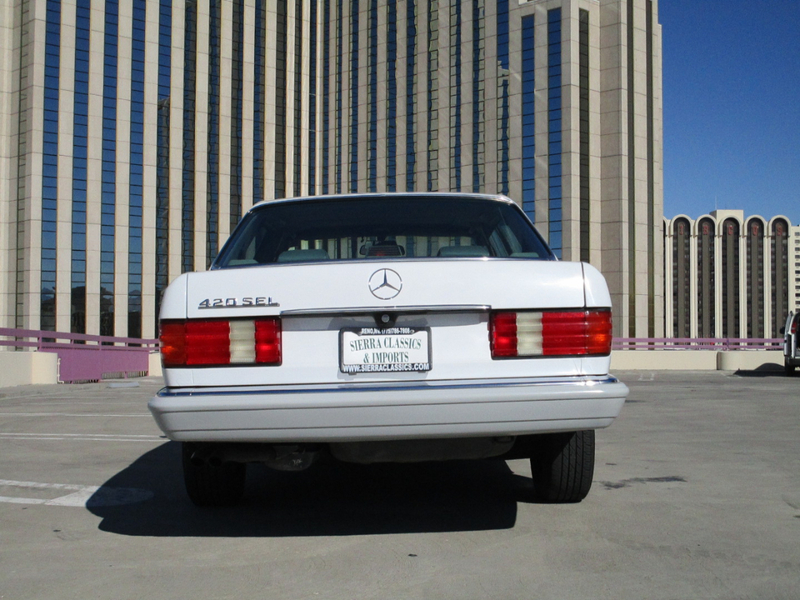 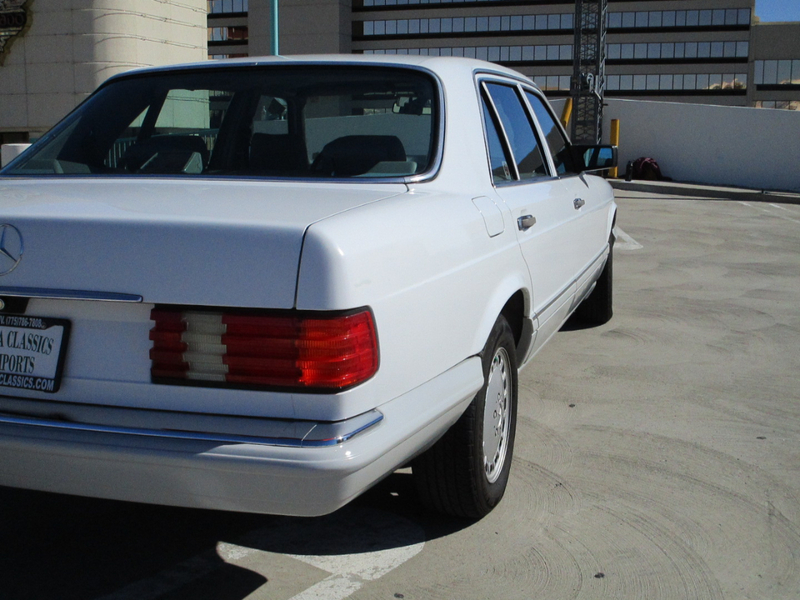 This beautiful 1989 Mercedes Benz 420 SEL has a 4.2 L naturally aspirated V 8 engine. 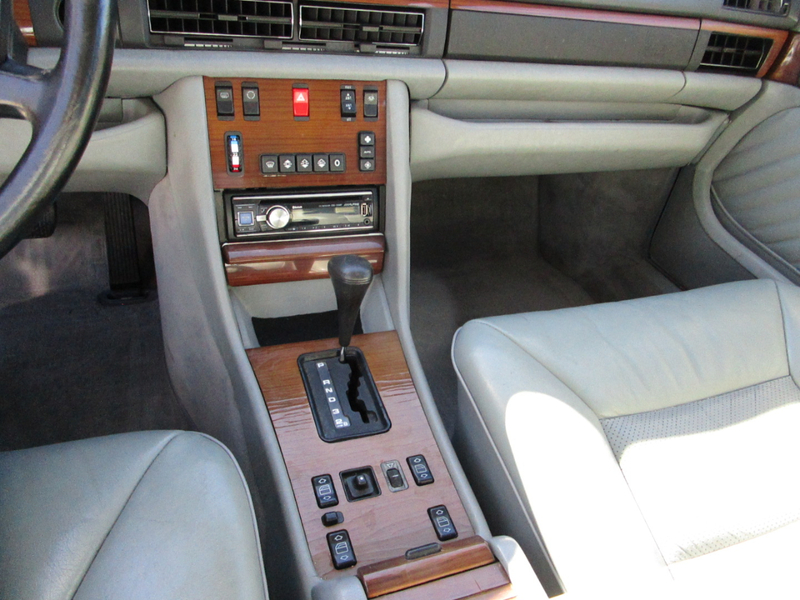 The transmission is a 4 speed automatic. 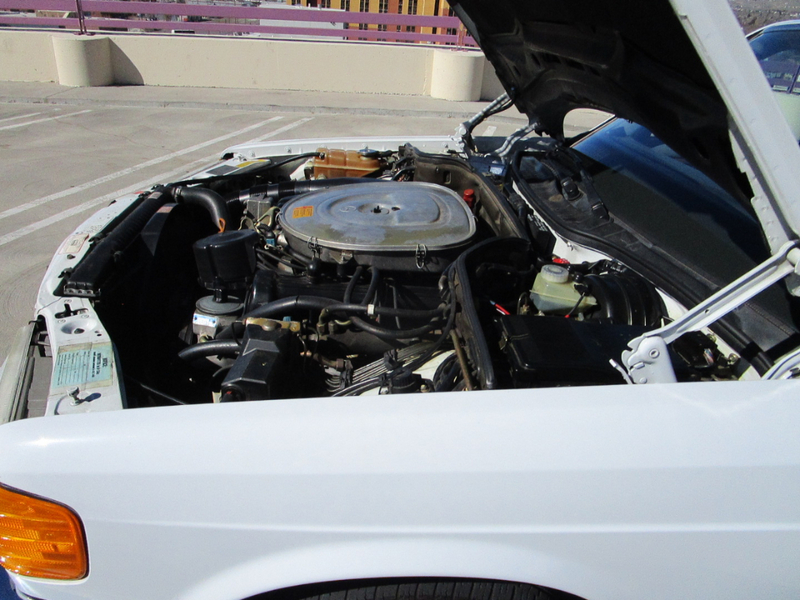 Fuel injection and 23.8 gal. 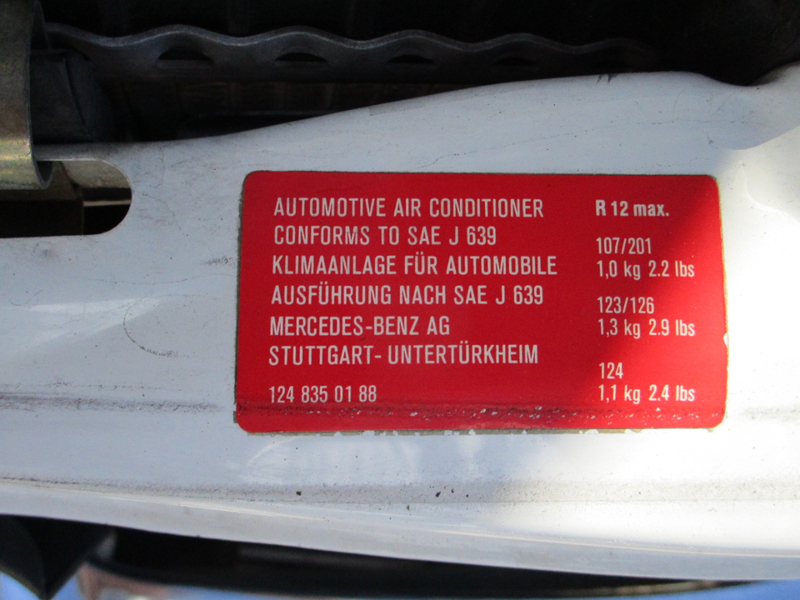 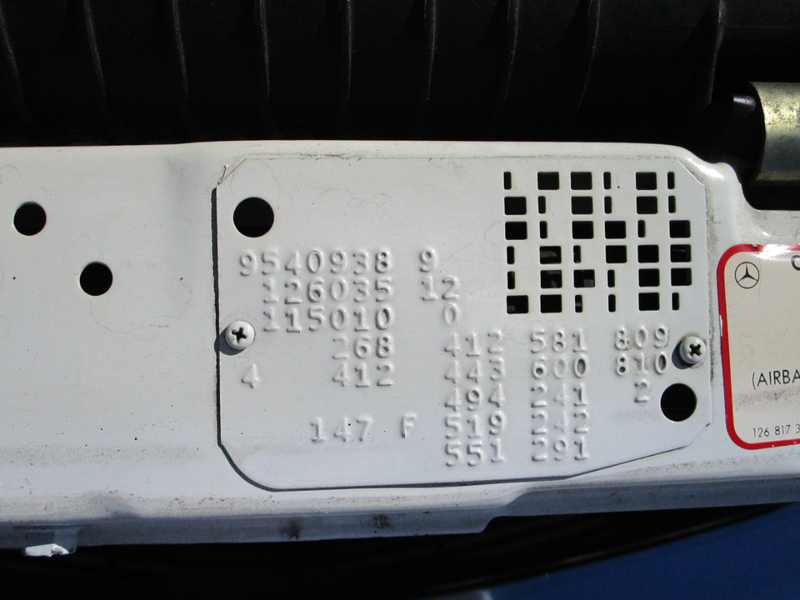 fuel tank capacity. 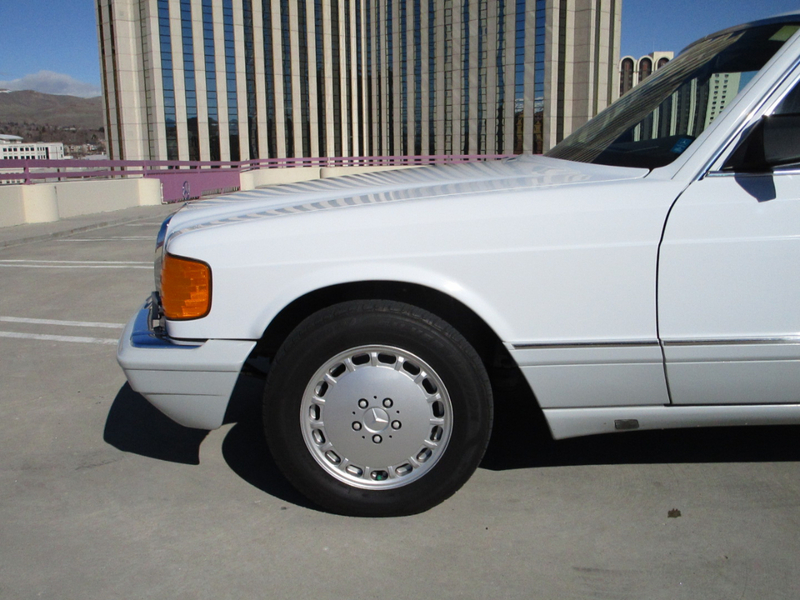 Front brakes are vented and front suspension is independent, McPherson, coil springs, anti-roll bar. 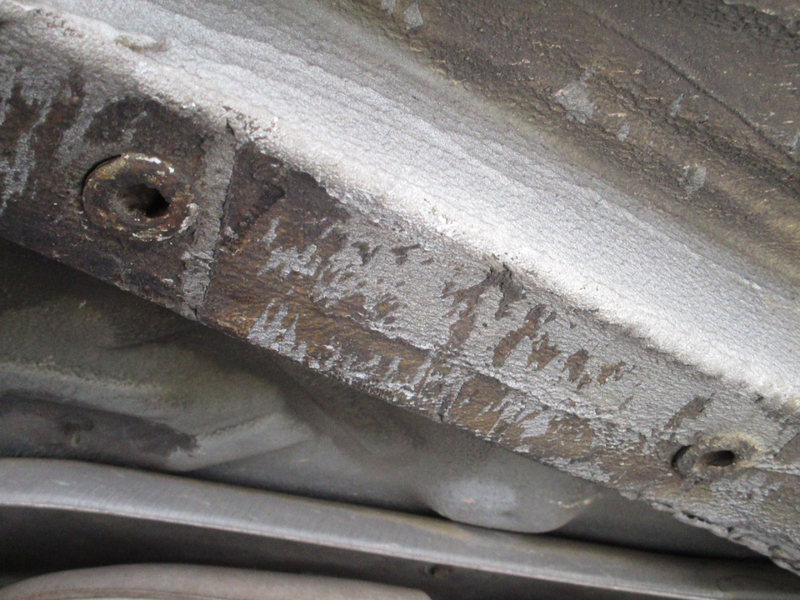 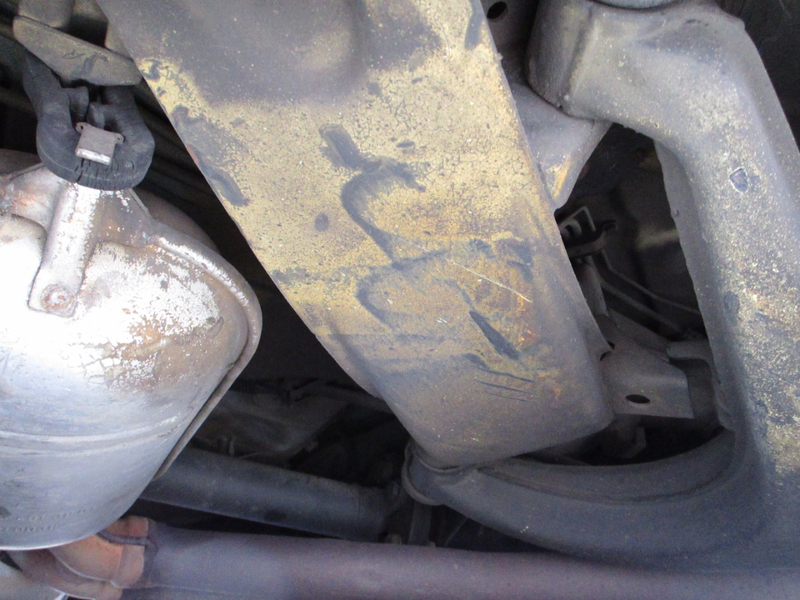 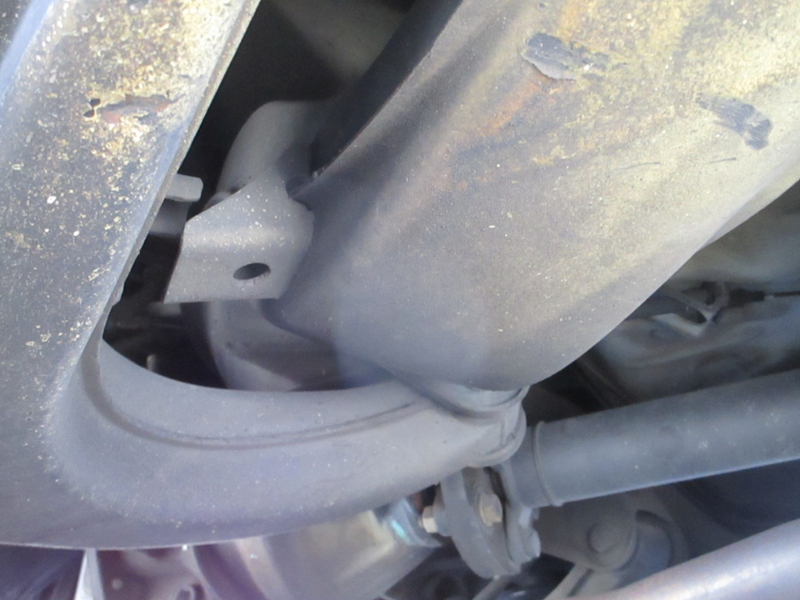 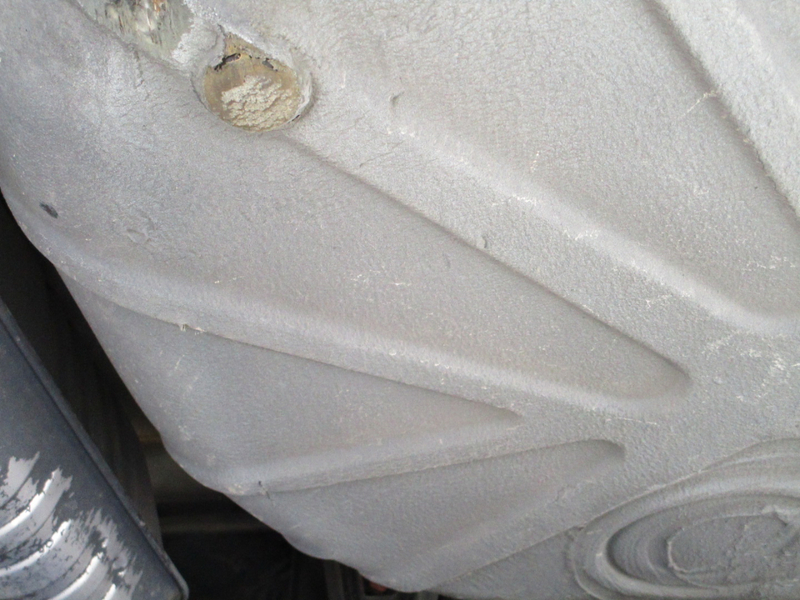 Rear suspension is multilink, coil springs, anti-roll bar. 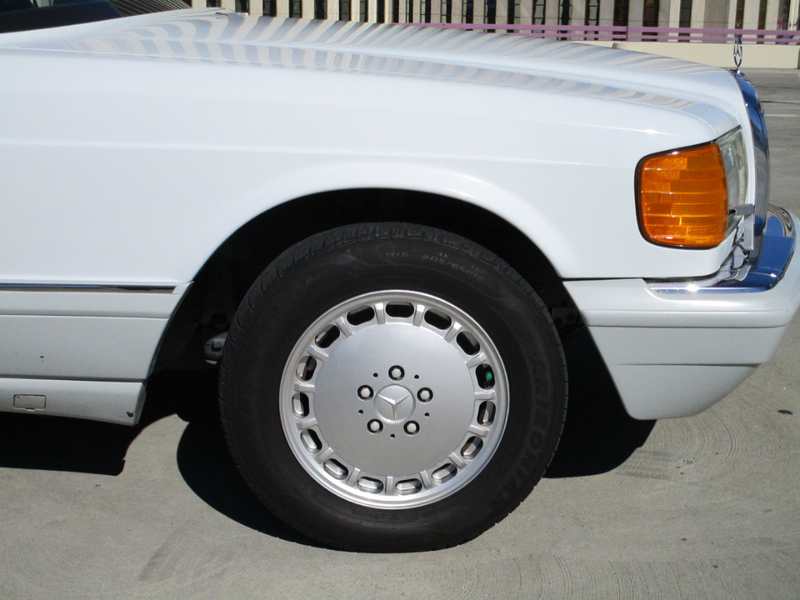 Disc brakes in the rear. 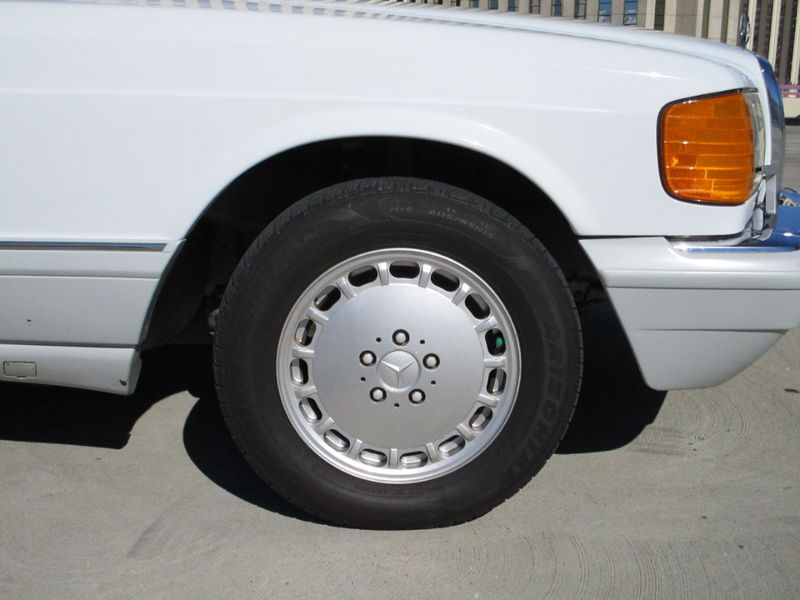 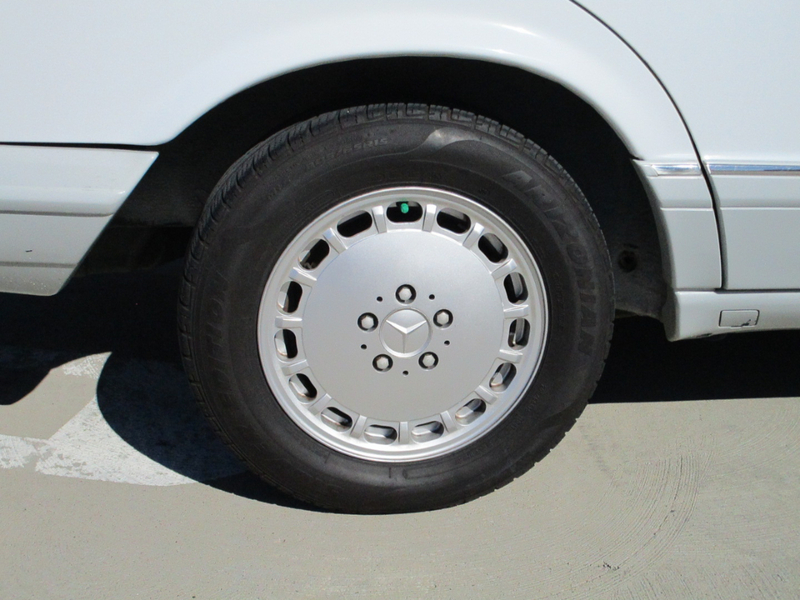 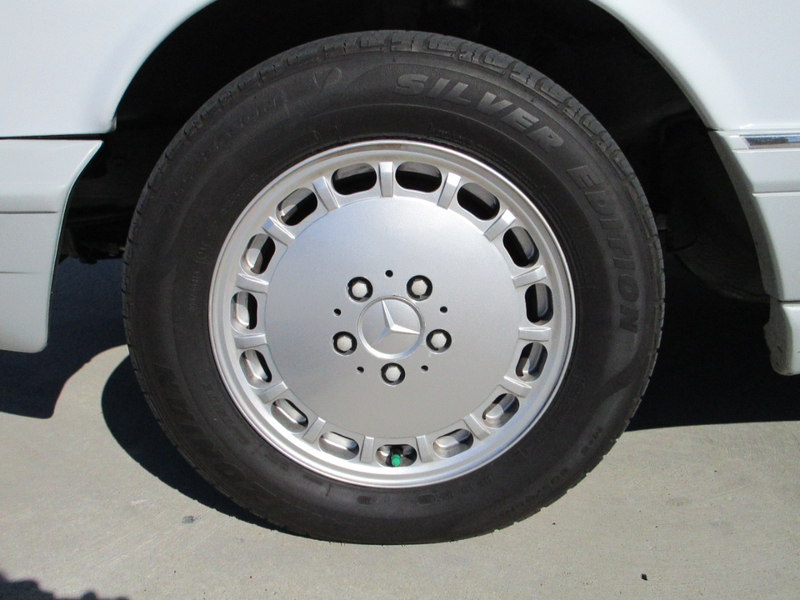 Rims are 205/65 R15. 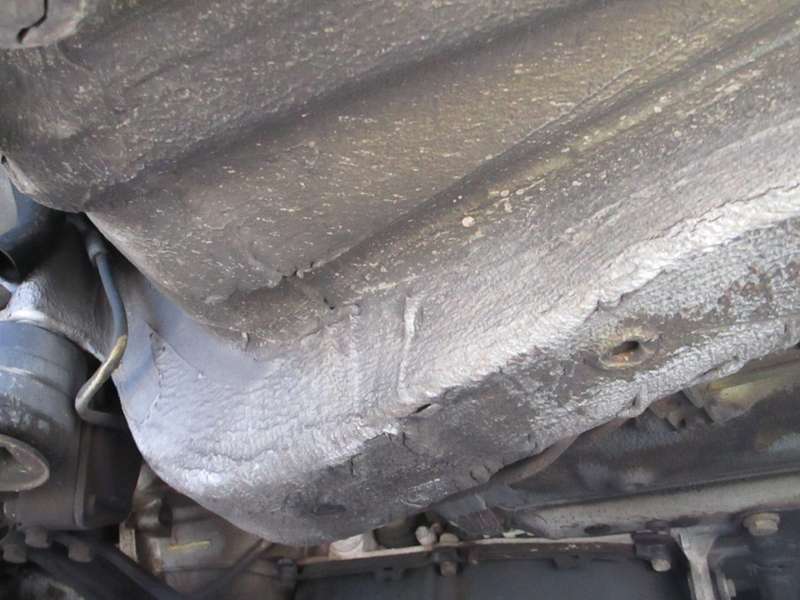 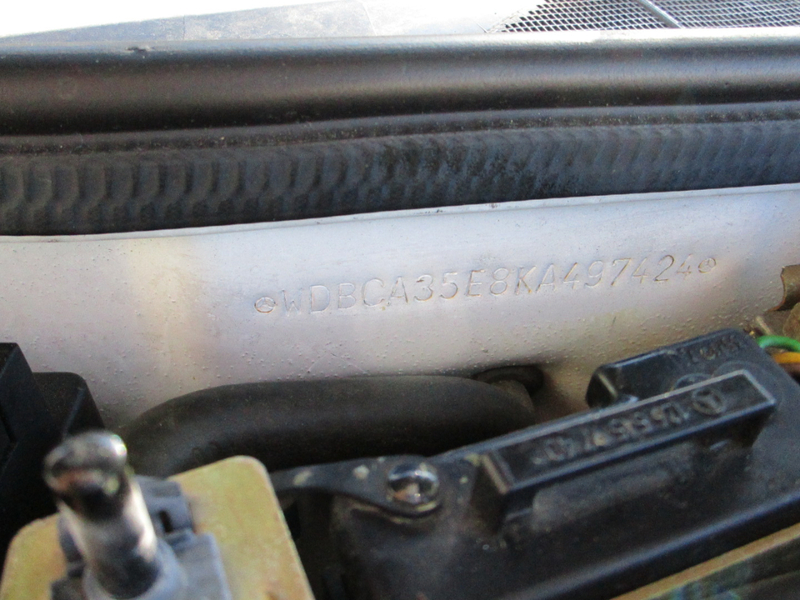 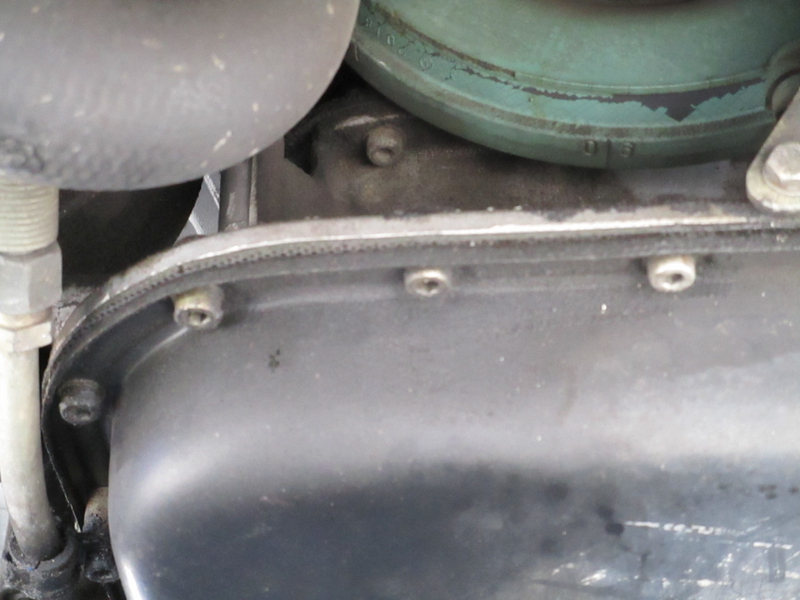 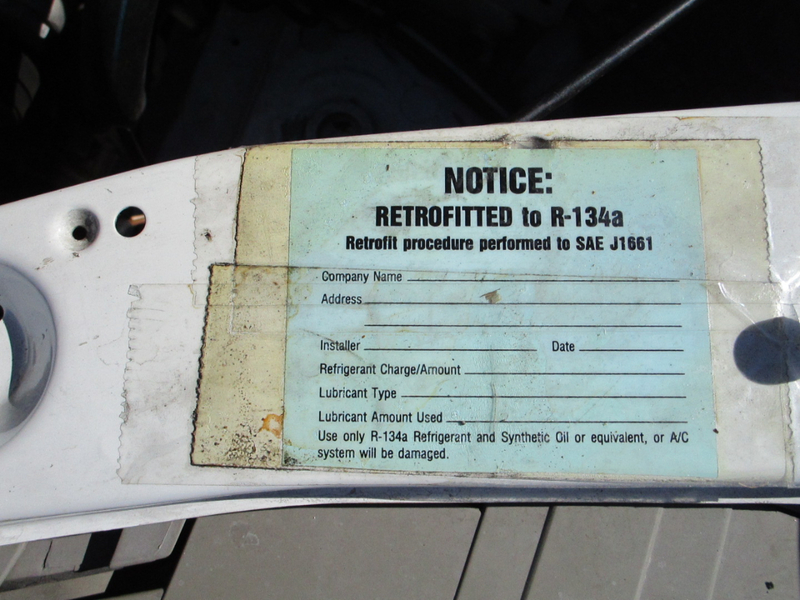 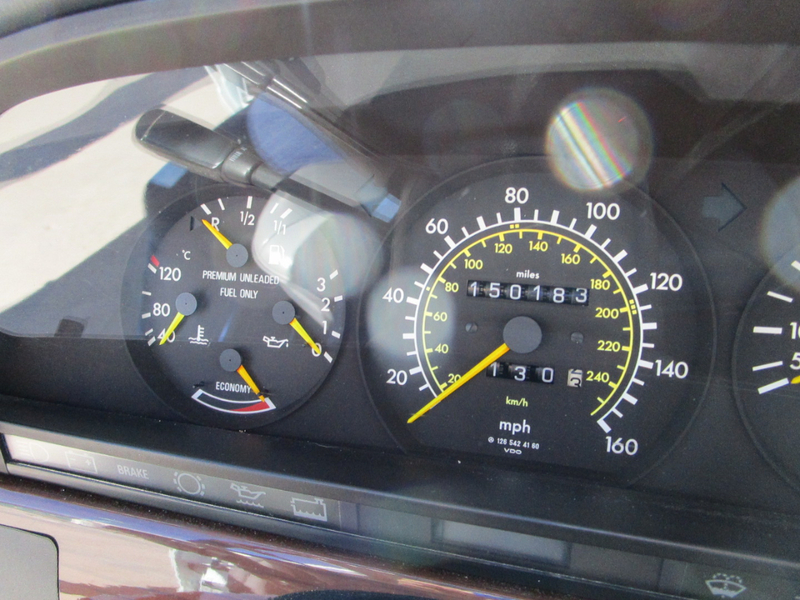 This car has 150186 miles, has been regularly serviced and maintained. 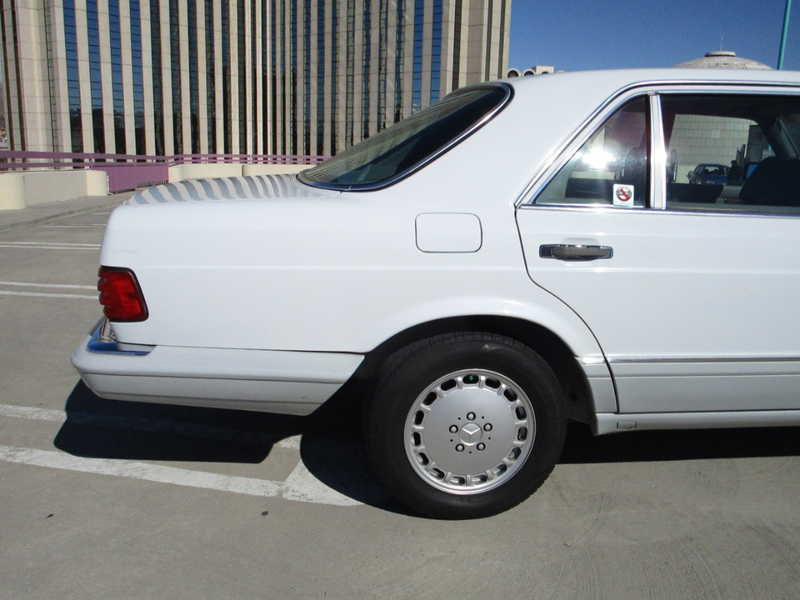 It has a clean Carfax. 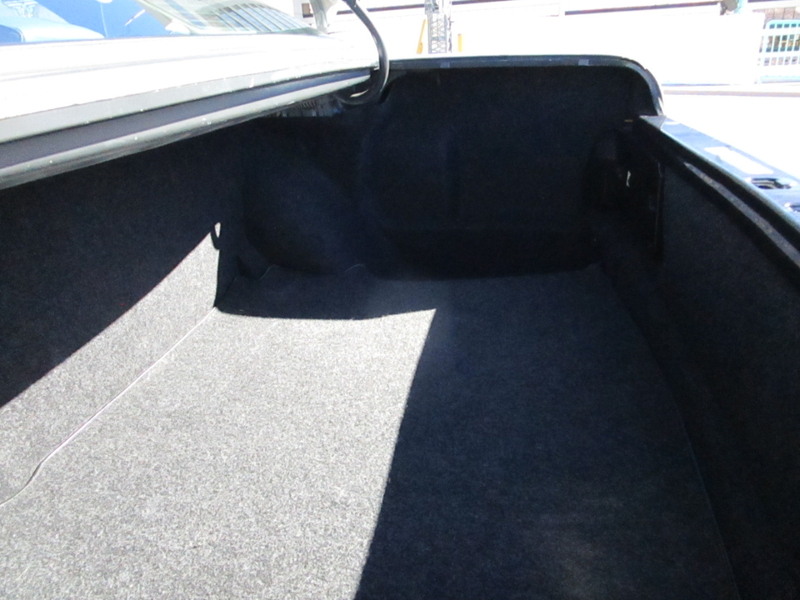 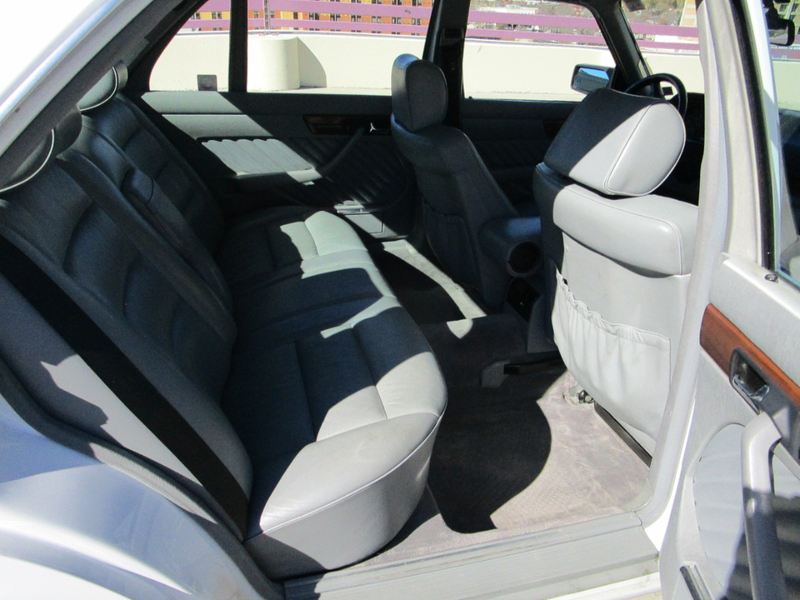 Power steering, power brakes, heated seats, power windows,and power sunroof. 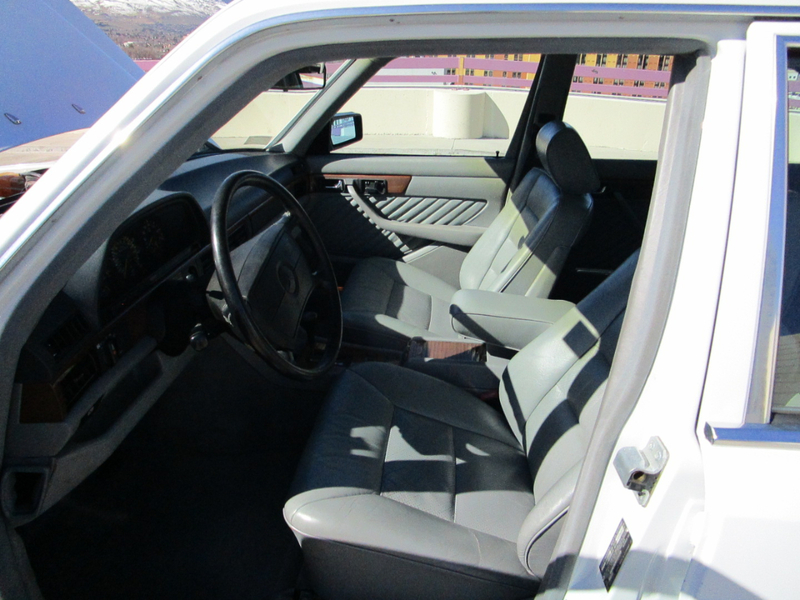 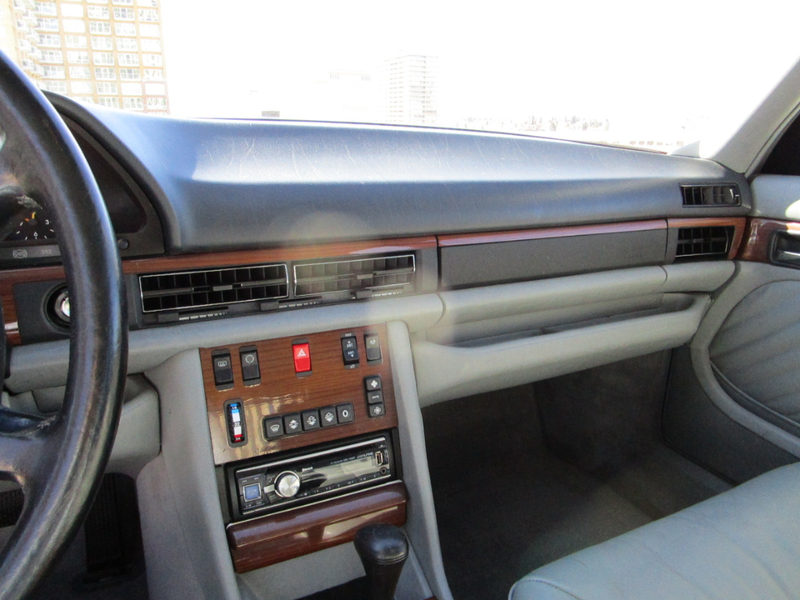 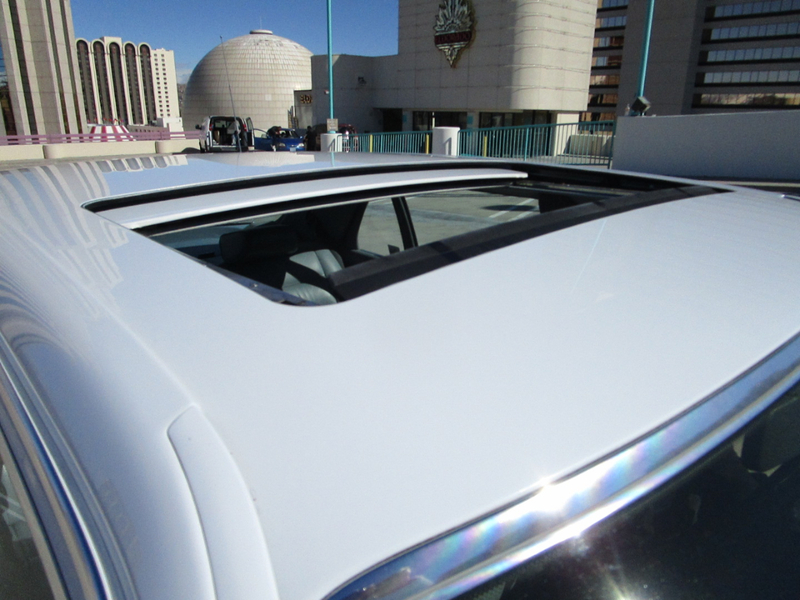 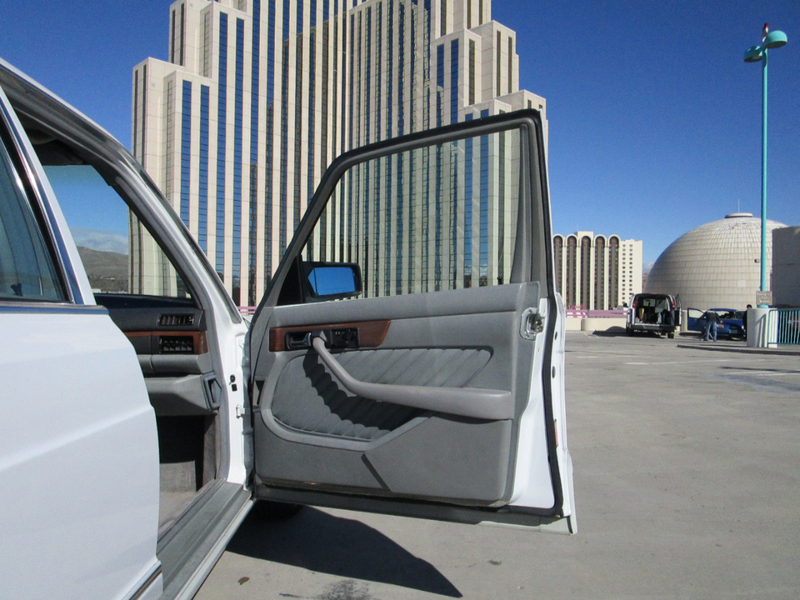 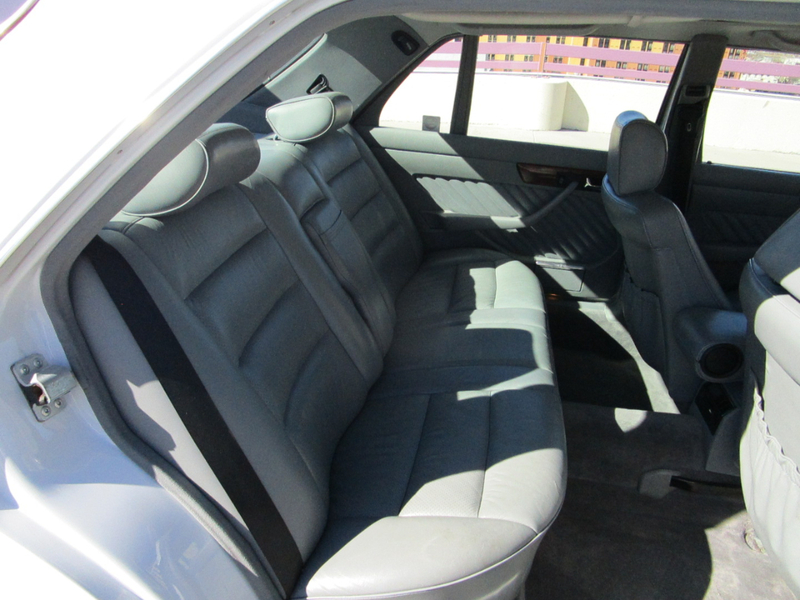 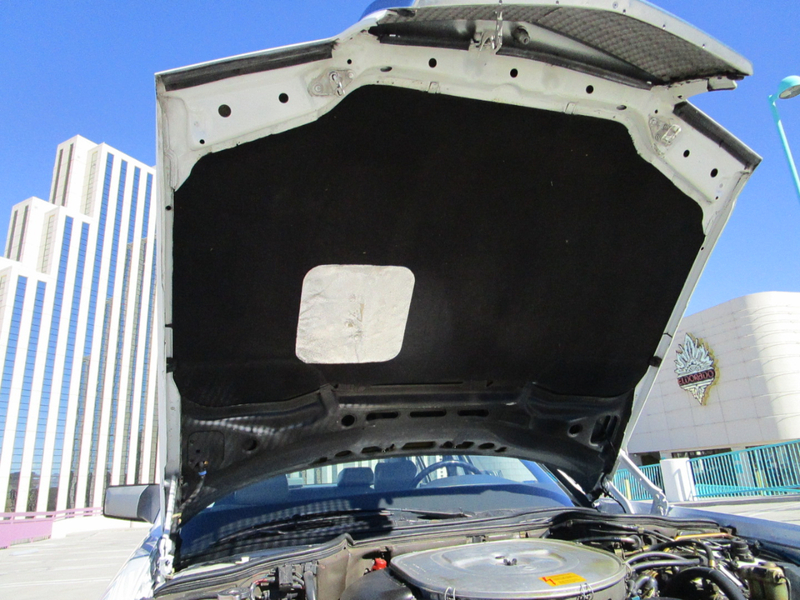 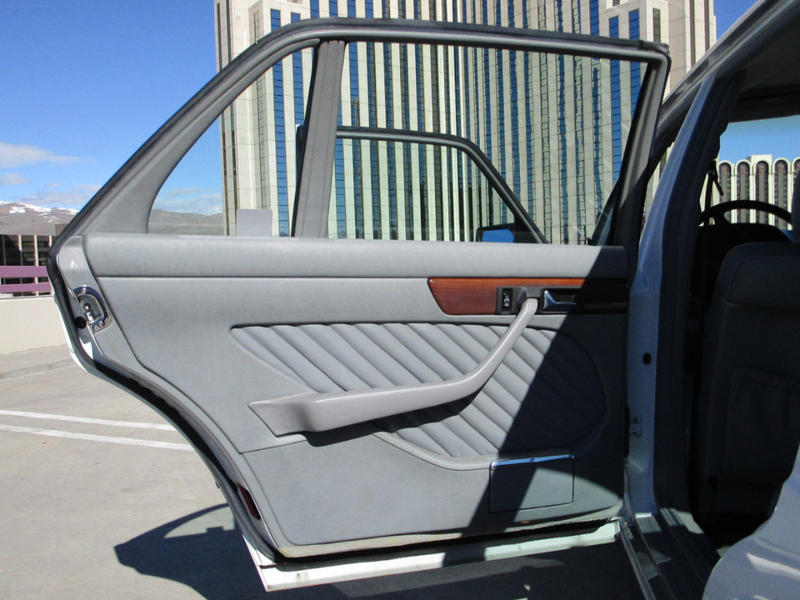 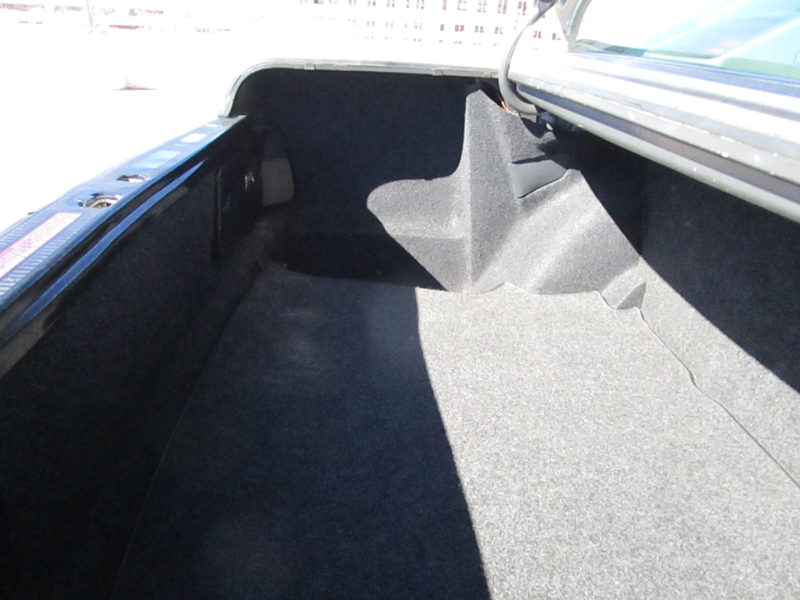 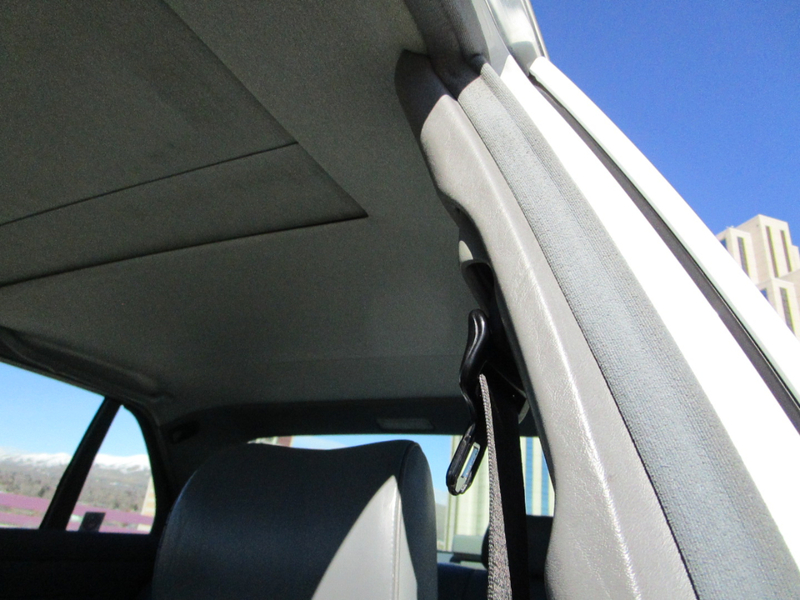 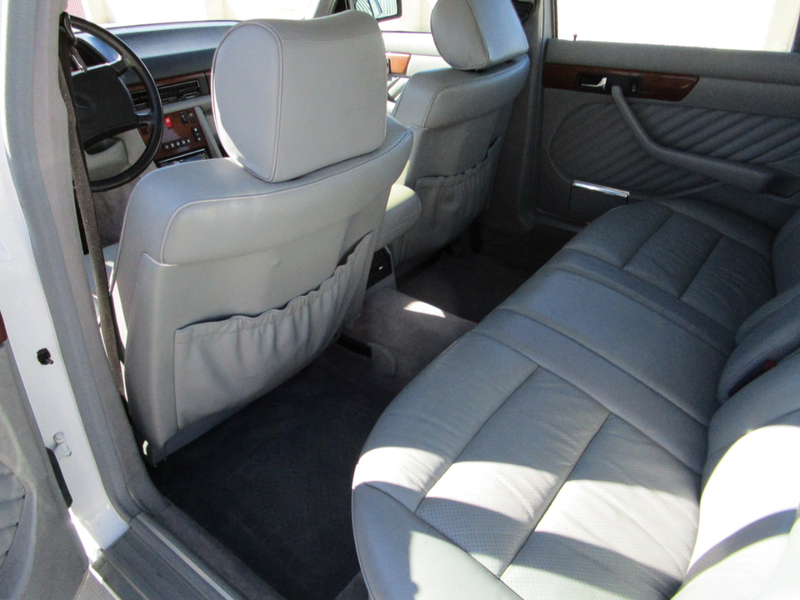 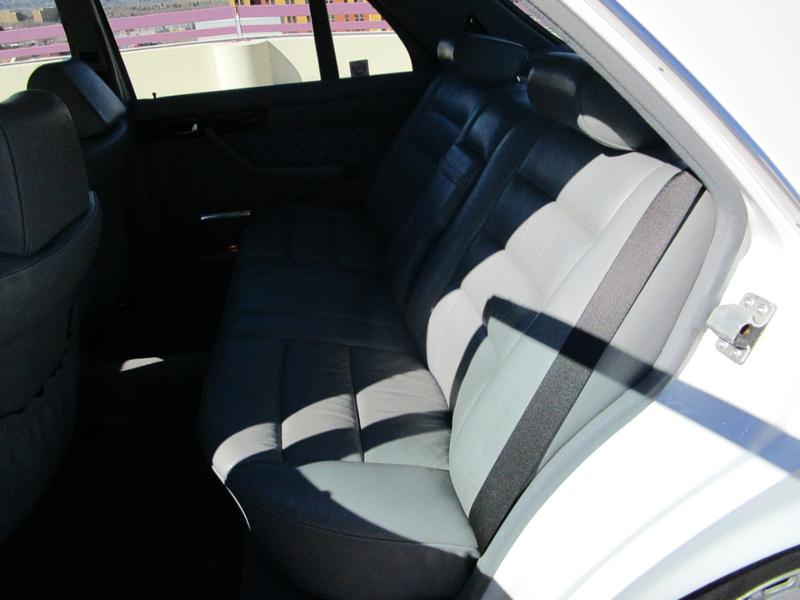 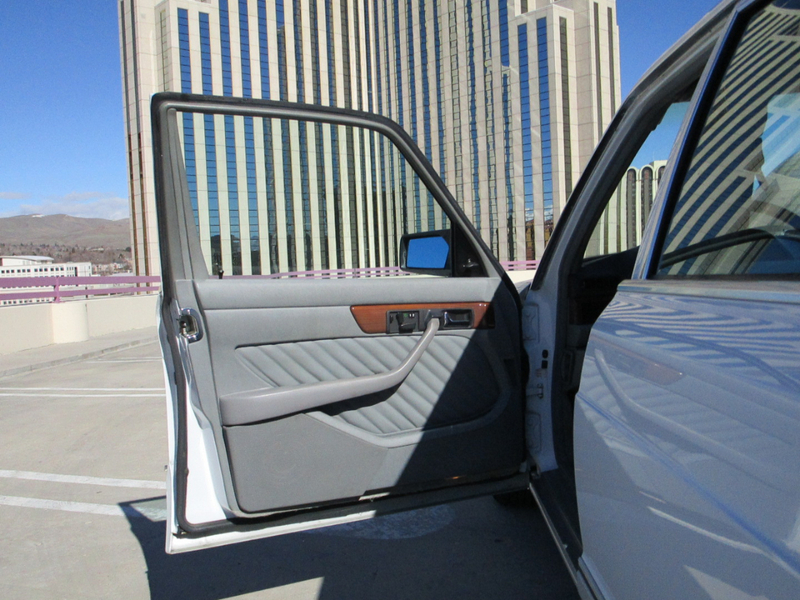 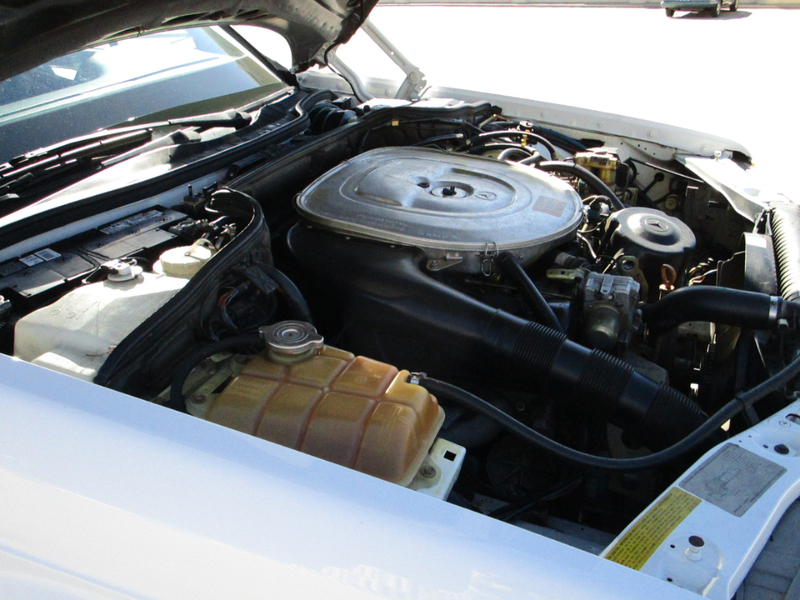 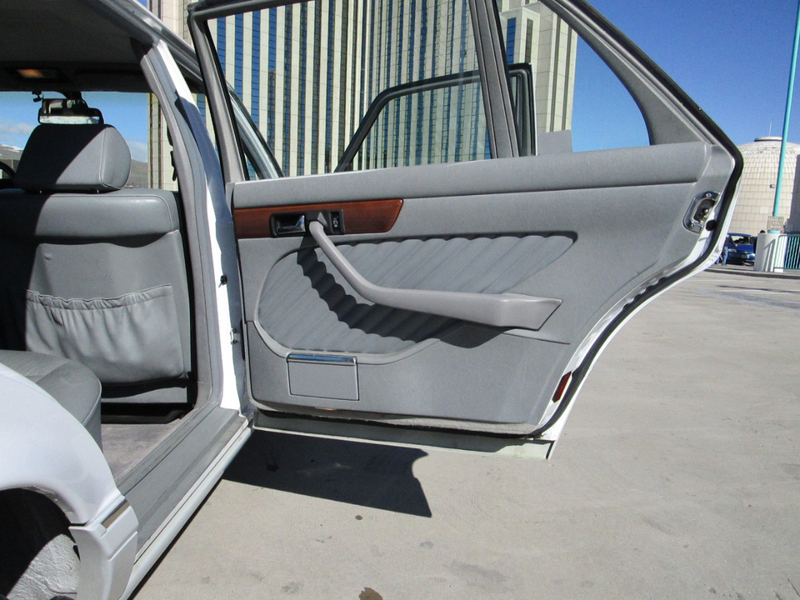 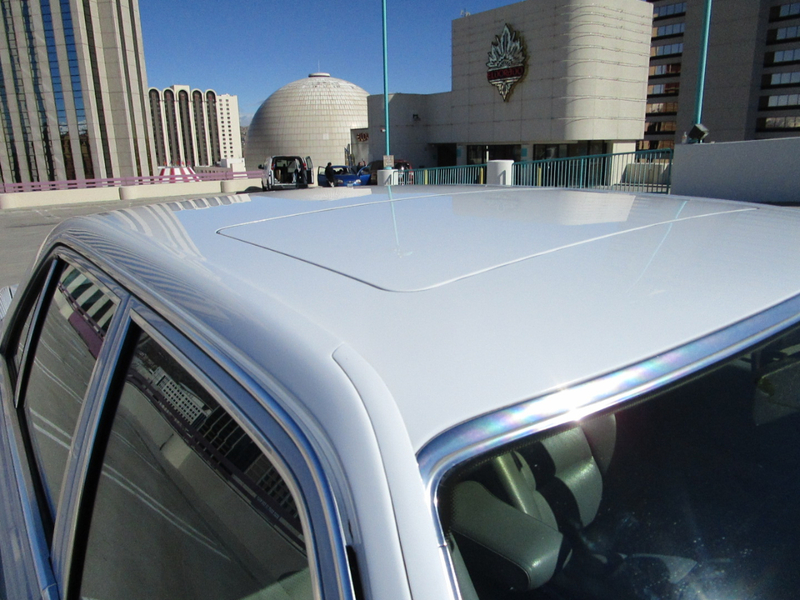 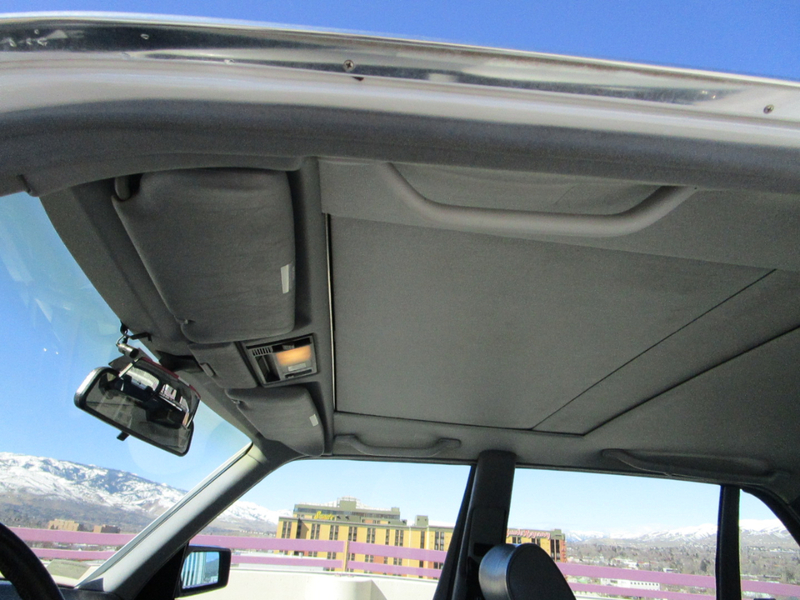 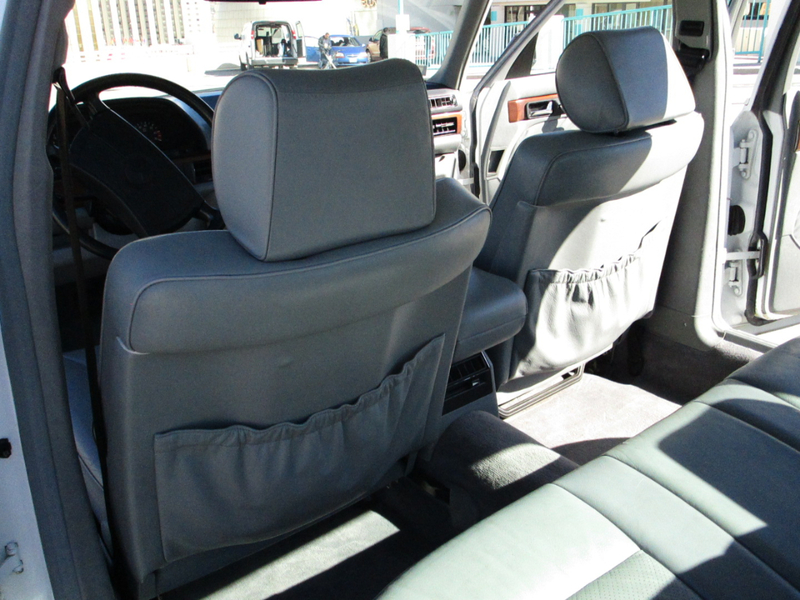 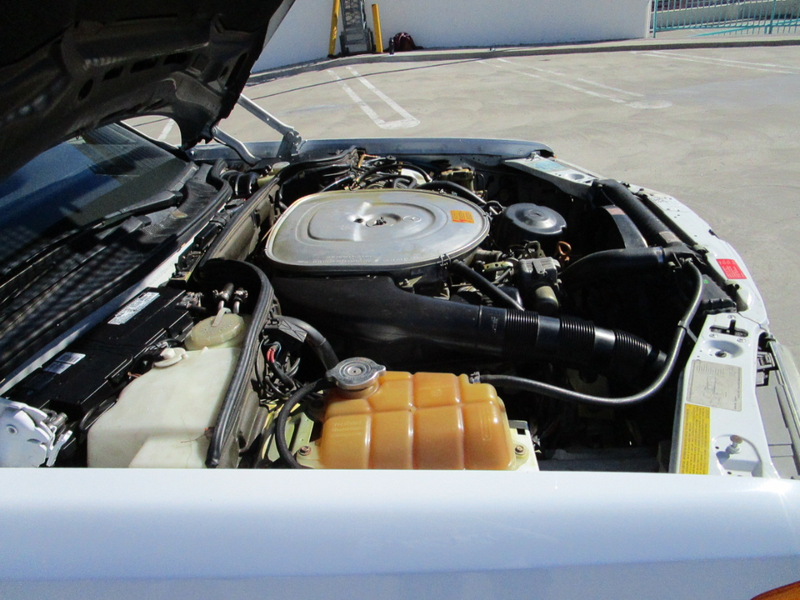 The gray leather interior is in excellent condition and the white exterior paint is also in great condition. 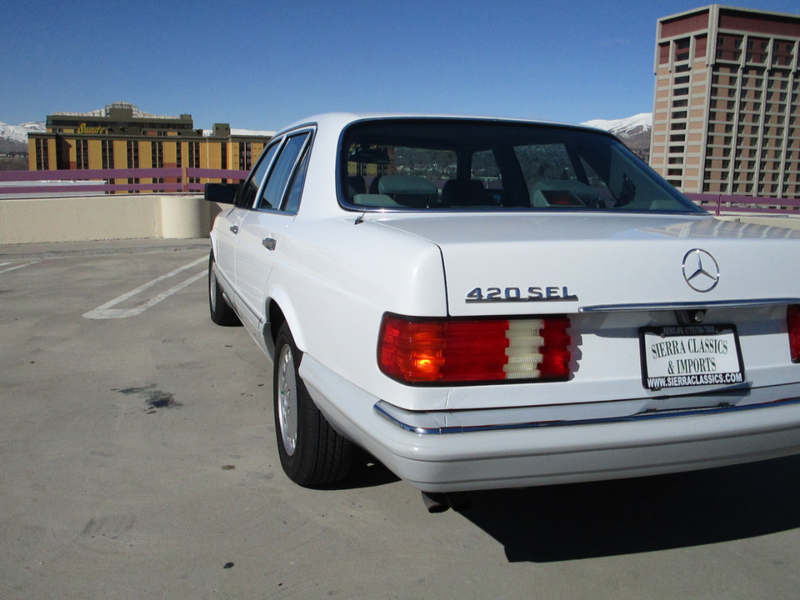 It runs and drives great. 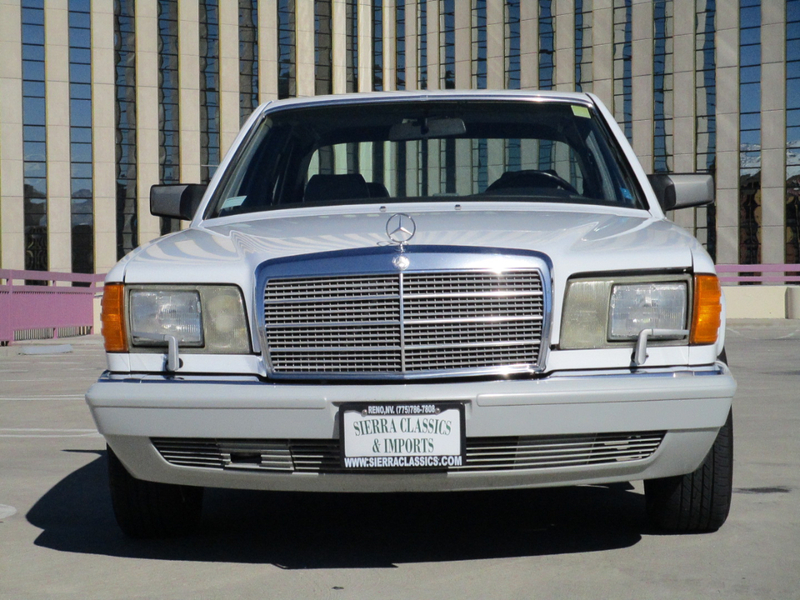 Message: Thought you might be interested in this 1989 Mercedes-Benz 420 Series.